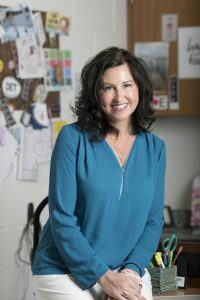 Becky Schipper has served on the bargaining team for her Hudsonville Education Association in some capacity for 15 years, and during that time not much changed in the art of negotiating—until now. Schipper’s team piloted a sophisticated new online MEA bargaining tool for EA units that she says replaces educated guesses about costs and finances with specific numbers that show what school districts can or can’t afford. New analytic resources from MEA, combined with improving finances for many districts across Michigan, should help bargainers approach the negotiating table with a more positive mindset, says MEA Statewide Bargaining Consultant Craig Culver. After years enduring a crushing double blow of step and pay freezes plus state mandates that shifted a larger burden of health care and pension costs to employees, some bargainers may be eager to accept any increase that is offered—unaware they’re missing bigger opportunities. The newest of three powerful financial analysis tools created and managed by MEA for use by local bargainers is the Proposal Cost Calculator that Schipper piloted when it was a work-in-progress three years ago. Last year it was rolled out statewide. The interactive database was built over the past few years by MEA Labor Economist Ruth Beier with technological help from MEA Programmer Analyst Angela Lanczynski. Beier used to spend hours doing those sorts of district financial analyses one by one. As its name implies, the Proposal Cost Calculator is far from a static collection of data. Users can enter a bargaining proposal—for example, a 2 percent salary increase plus steps—and receive a report in just seconds that details costs to the district down to the penny. Those who want to use the tool send Beier an Excel spreadsheet with their district’s current salary schedule and staff roster, including step and lane information for each person. Other district revenue and expenditure data is already plugged in. Having access to real numbers builds trust across the bargaining divide, said Curt Schaiberger, the local president in Houghton Lake. His team used the Proposal Cost Calculator to bargain a positive new contract, he said. Standish-Sterling EA President Jeff Katt used the tool with his bargaining team to negotiate a contract that included a percentage increase and two steps in the first year. The ratification vote in favor of the contract was unanimous for the first time ever, he added. Katt’s team also was aided by information from a second MEA financial analysis tool which shows a district’s revenues and expenditures over time, plus fund balances over time, which helps bargainers see how much money a district has and where it is. That tool revealed Katt’s district had grown a 27 percent fund equity—unused money held in a “rainy day” fund. The state of Michigan recommends school districts maintain a fund balance of at least 5 percent of their annual general fund operating expenses as a precaution. Across Michigan, fund equities are rising as many school districts recover from the financial difficulties of the past several years, MEA’s Culver said. By the end of 2017, the amount of money that Michigan school districts held in surplus stood at $1.7 billion—a whopping $555 million increase from the previous year, according to data collected from school district audits statewide. Bargainers who want to track those types of district spending trends can utilize a third MEA-developed tool which provides access to data that exists nowhere else. This database produces profiles of every district’s spending over time and allows searchers to zero in on categories such as total administrative salaries or total teacher compensation, including health care and benefits, dating back to 1994. Districts that are similar in size, geography, demographic makeup, or other characteristics can be compared to each other. Some bargaining units have used the information to make a clear case that the percent of revenue their district spends on teachers is below typical or acceptable levels. Kevin Howard, chief negotiator for the Grand Haven EA, has used the profile database in addition to the other tools. The scope and accuracy of the information his team can access through MEA tools builds the team’s confidence entering talks, he said. “It helps to figure out what is appropriate and fair to ask for—fair for members, fair for the district, and historically consistent with what we’ve typically cost,” Howard said. For bargainers in districts where the financial analysis shows troubled finances and a lack of money to negotiate over, the MEA’s tools and research can help teams determine what is causing distress and changes that need to be made. Ultimately the MEA financial analysis tools save time, reduce confrontation, and produce results at the bargaining table, concluded Hudsonville’s Becky Schipper. Hello. In Ms. Ortega’s article about MEA Tool’s to improve contracts, it said “Those who want to use the tool send Beier an Excel spreadsheet with their district’s current salary schedule and staff roster, including step and lane information for each person.” I would like to know Beier’s contact information so I can send the spreadsheet. Would you please tell me how to make that contact?